These low-cost awards are perfect to reward your table tennis stars. 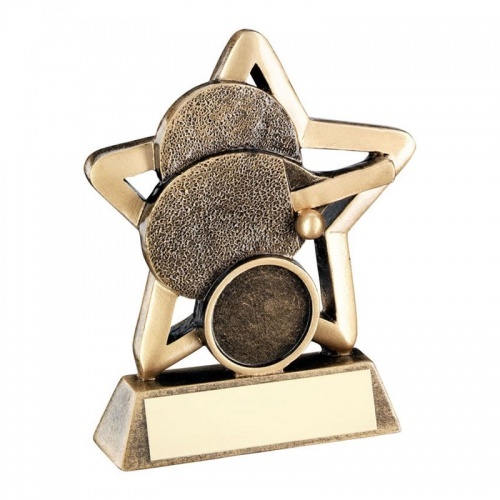 Crafted in durable resin with an antique bronze and gold colour finish, they feature a star motif with two bats and a ball. They also include a 1in centre and metal engraving plaque on the base. Stands 4.25in / 108mm tall, offered with text and/or logo engraving options.